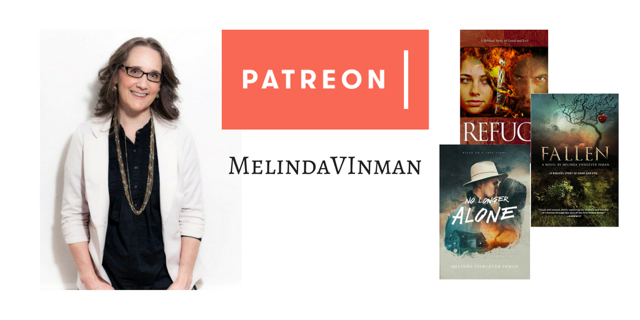 Melinda Viergever Inman was raised in a storytelling family. There her roots were sunk. During years of relocation, tragedy struck. Wounded and heartbroken, Melinda forsook her roots and ran from herself and from God. A journey of trial and heartache brought her home again. A prodigal now returned, she writes with passion, illustrating God’s love for wounded people as he makes beauty from ashes. 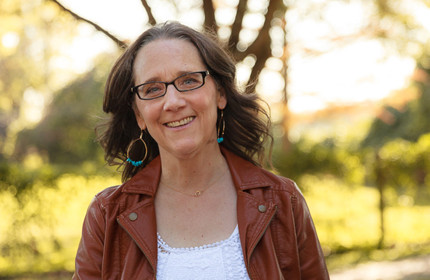 Her writing also encompasses chronic illness and autoimmune disease, as she was stricken when her first novel was in production. Melinda’s fiction illustrates our human story, wrestling with our brokenness and the storms that wreak havoc in our lives. 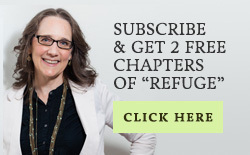 Melinda pens inspirational material and blog posts. See the Blog link. 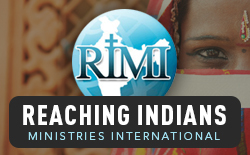 With her family she is involved with Mission India/RIMI, rescuing orphans and providing theological and job training for impoverished students. When the entire world falls apart, can God be trusted? No Longer Alone explores how a young Oklahoma rancher pursues the love of his life, while battling nature and himself on the eve of the Great War. Manhood arrived prematurely. At the tender age of fifteen, Prentis lost both his father and his confidence that God loved him. He grew up fast after that day, abandoning his education to support his mother and siblings. Now, in Prentis’s twenties, Avery reenters his life. A Sunday School teacher with a passion for learning, she is intelligent with a captivating spirit. Prentis finds her irresistible. The audacity of attempting to court such a woman in no way weakens his resolve. He’s determined to win her heart. But male competition, vicious gossip, Avery’s unspoken fears, and the ruin of his livelihood hinder his efforts. How can Prentis win her? And if he does, how will they overcome their differences, the hard life on the Oklahoma plains, and a world at war? Upon infant earth, the Creator shapes a man and a woman, the beginning. Blissful love and innocence reign. But evil encroaches, tempting them to wreck it all. All Cain desires is his sister Lilith. But he’s thwarted and frustrated at every turn, mostly by his do-gooder brother Abel, who always seems to be in the way, even gaining approval from God. Nudged toward evil by Satan, Cain wrecks everything and breaks Lilith’s heart. Crushed by what he’s done and banished by God, Cain flees into the wilderness, certain he’s destroyed Lilith, his parents, and the entire family. He knows he’s unworthy of forgiveness and will never be accepted by God or his family again. Will he ever find refuge? Information, material, and contact form to request Melinda’s Workshop: “God’s Purposes in Trial and Suffering.” Click HERE. Fill out the contact form and state in your message what type of presentation you desire about any of my novels. I can also present to book groups or educational gatherings about author life, publishing, and writing in general. Click HERE.